2016 has been a great season thus far for one of Coolmore's newest freshman sires, Power. 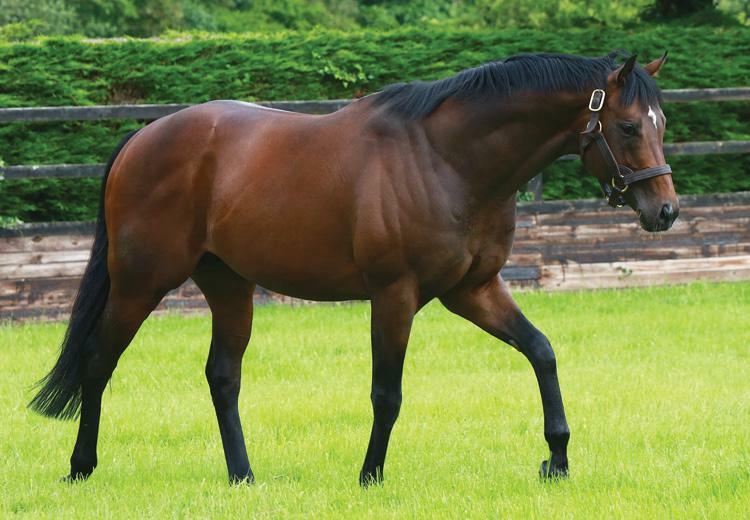 By European champion sprinter and leading stallion Oasis Dream, Power is from the family of proven G1 winning stallion Footstepsinthesand and two-year-old Group 1 winner Pedro The Great, which makes him an extremely popular choice for breeders alike right from the start. As a racehorse himself, Power proved to be of the greatest two-year-olds of his generation, winning races like the Marble Hill (G2, 5f), the Coventry Stakes (G2, 6f) and the National Stakes (G1, 6f) with very good placed efforts in the Phoenix Stakes (G1, 6f) and the Dewhurst (G1, 7f), making him an even better juvenile than his star sire ever was. Power's three-year-old season may not have gone as planned but he still managed to notch a Classic victory, showing he had that perfect mix of both speed and stamina by lasting out a mile to win the Irish 2000 Guineas a cosily from Foxtrot Romeo. After a disappointing showing in the Group 1 St.James's Palace Stakes at Ascot behind Most Improved, Power was retired to Coolmore Stud ahead of the 2013 breeding season and was allocated a first time fee of 12,500, which proved to be extremely good value with his first yearlings in 2015 selling at consistently high prices of €255,000, €225,000, €150,000, €110,000, €105,000, €100,000 etc. So far in 2016, Power has stamped both his looks and class on his progeny, and has sired 15 winners with prize money amounting to £226,502, with the star of his first crop being the Aidan O'Brien trained Peace Envoy, a winner of the Listed Rochestown Stakes and G3 Anglesey Stakes before solid placed efforts in the G2 Railway Stakes and the G1 Prix Morny, with Aidan quoting after the Anglesey: "You'd have to be delighted with that. He's very like Rock Of Gibraltar was as a two-year-old, he's progressing and coming along lovely." Peace Envoy isn't the only potential star to come out of Power's first crop however, with Ghayaar also looking a nice prospect for the future, making all in a Newmarket maiden for Richard Hannon (a maiden that has an impressive roll of honour with past winners including the likes of the incomparable Frankel and former Derby winner Motivator), and Biz Power, a three-length winner on debut for Stefano Botti in Italy and now G3 placed. With his 2016 stallion fee frozen at 8,000 from 2015, breeders all around the globe will be getting extremely good value by investing in Power after his impressive yearlings and now two-year-olds, but next year a big price hike will be expected, especially if he can finish off with that elusive Group 1 winner.